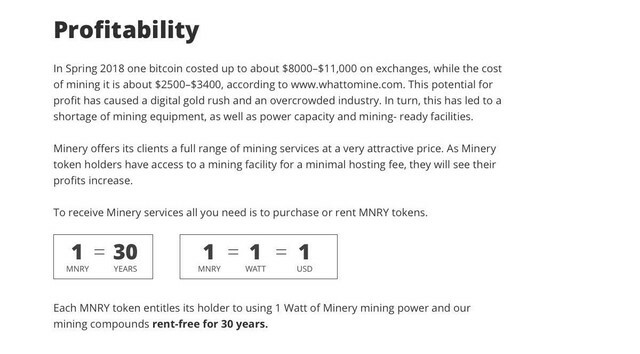 Minery is a turnkey hosted mining solution inside a 55-Megawatt mining complex. It is the largest legal mining facility in Russia. Minery represents a different solution. It combines large mining compounds, low entry criteria, high quality hosting, a service center in close vicinity and one of the lowest electricity rates in the whole world. We procure the hardware, install and set it up. In case of breakdowns we repair it right on the spot. These characteristics make the Minery project highly efficient and convenient. When choosing location for mining, the ideal placement will offer both low electricity rates and low average annual temperature. Russia is one of the best countries to place a mining farm. Our mining compounds are located in the cities of: Bratsk, Ust-Ilimsk, Irkutsk. These climate conditions allow us to use highly effective heat transfer and cooling system for the miners and ultimately reduce hosting expenses. 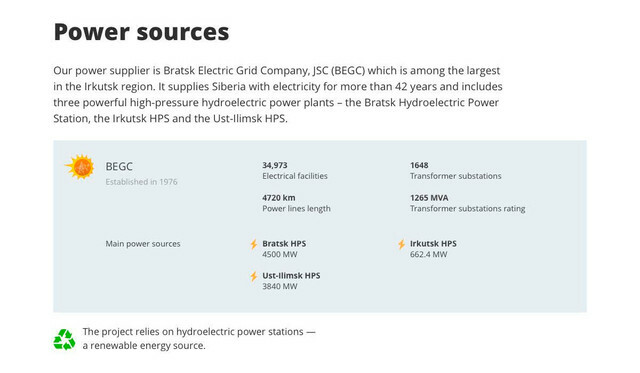 Our power supplier is Bratsk Electric Grid Company, JSC (BEGC) which is among the largest in the Irkutsk region. It supplies Siberia with electricity for more than 42 years and includes three powerful high-pressure hydroelectric power plants – the Bratsk Hydroelectric Power Station, the Irkutsk HPS and the Ust-Ilimsk HPS. The project relies on hydroelectric power stations — a renewable energy source. In Spring 2018 one bitcoin costed up to about $8,000 - $11,000 on exchanges, while the cost of mining it is about $2,500-$3400, according to www.whattomine.com. This potential for profit has caused a digital gold rush and an overcrowded industry. In turn, this has led to a shortage of mining equipment, as well as power capacity and mining- ready facilities. Minery offers its clients a full range of mining services at a very attractive price. 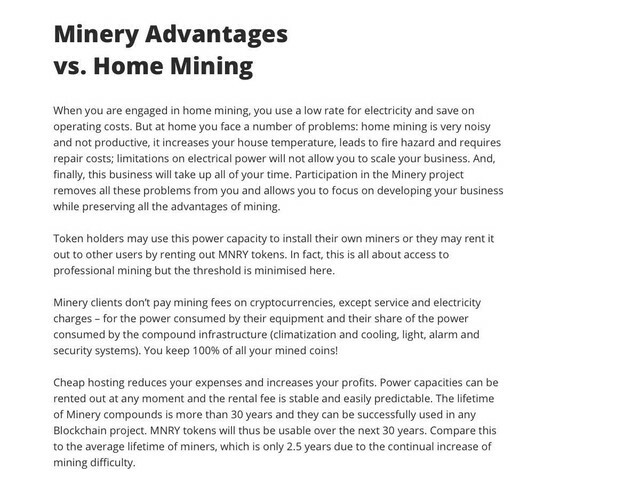 As Minery token holders have access to a mining facility for a minimal hosting fee, they will see their profits increase. To receive Minery services all you need is to purchase or rent MNRY tokens. Each MNRY token entitles its holder to using 1 Watt of Minery mining power and our mining compounds rent-free for 30 years. Minery offers unprecedentedly favourable terms for mining cryptocurrencies. Electricity - 0,04 USD/kWh. Service payment - 0,03 USD/kWh. You can also mine popular currencies other than Bitcoin: ETH, ETC, LTC, DASH, ZEC, XMR. Token holders can also rent out their MNRY tokens and receive over 45% annually. When you are engaged in home mining, you use a low rate for electricity and save on operating costs. But at home you face a number of problems: home mining is very noisy and not productive, it increases your house temperature, leads to fire hazard and requires repair costs; limitations on electrical power will not allow you to scale your business. And, finally, this business will take up all of your time. Participation in the Minery project removes all these problems from you and allows you to focus on developing your business while preserving all the advantages of mining. Token holders may use this power capacity to install their own miners or they may rent it out to other users by renting out MNRY tokens. In fact, this is all about access to professional mining but the threshold is minimised here. 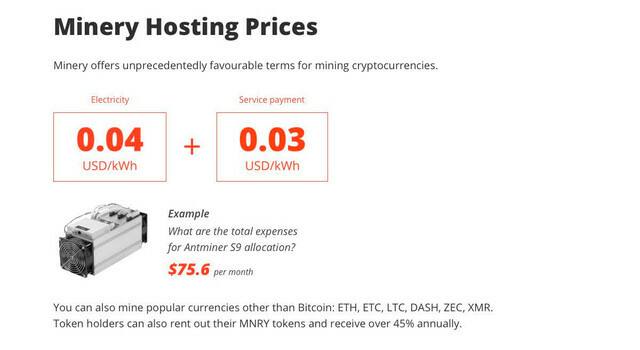 Minery clients don’t pay mining fees on cryptocurrencies, except service and electricity charges – for the power consumed by their equipment and their share of the power consumed by the compound infrastructure (climatization and cooling, light, alarm and security systems). You keep 100% of all your mined coins! Cheap hosting reduces your expenses and increases your profits. Power capacities can be rented out at any moment and the rental fee is stable and easily predictable. The lifetime of Minery compounds is more than 30 years and they can be successfully used in any Blockchain project. MNRY tokens will thus be usable over the next 30 years. Compare this to the average lifetime of miners, which is only 2.5 years due to the continual increase of mining difficulty. MNRY is a standard ERC20 Ethereum token. During the pre-sale a bonus of 20% is set. You therefore receive a bonus of 20 MNRY tokens for each 100 MNRY tokens purchased. The amount of bonus will be reduced gradually over the course of the token sale. For every 100 tokens sold 15 additional tokens will be issued for the Minery team and advisors fund. MNRY tokens can be purchased for BTC, ETH or fiat currencies via our website on MNRY.io. The purchase can be made using any BTC or ETH wallet. Token sale and distribution terms are determined by the Smart Contract. 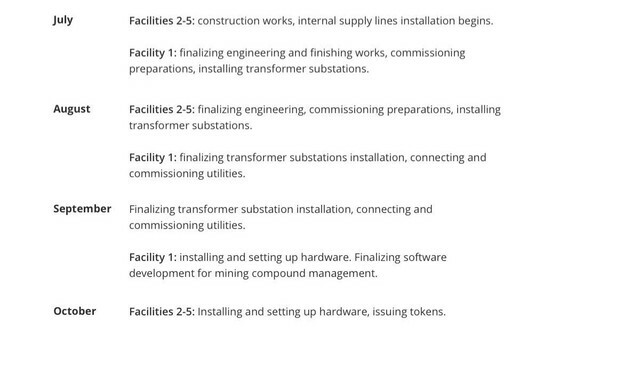 All MNRY tokens are backed by real electrical power at Minery. Start mining on unique terms! Minery 35% bonus – 3 days only! Soon is 9th of May, and we are celebrating the Birthday of one of Minery’s founders – Alexey Paikin! Hooray! We are giving 35% bonus not only on May 9th, but also on May 10th and May 11th. These are the best three days to participate in Minery pre-sale and get MNRY tokens. What is the expected annual ROI? Will there be reinversion to solve the problem of difficulty? There’s profitability calculator on our web site. ROI of mining depends on the equipment you use. Or you can rent your tokens out. You earn fixed 3% in tokens every time someone registers using your referral link and buys MNRY tokens. No compound interest or floating rates. Simply join, share and get rewarded with tokens. Well, not a bounty, but still very promising. Need to study it thoroughly. Thanks. Thank you for your interest to our project. Why Russia is a ‘Hot Spot’ for mining. 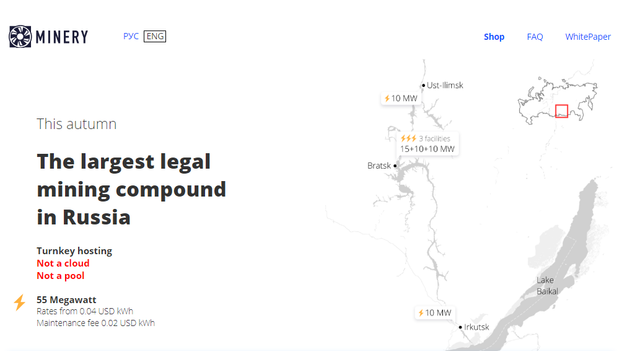 The article on The Merkle about mining operations, legal aspects of mining and #Minery project. Minery got certified by IDACB (International Decentralised Association of Cryptocurrency and Blockchain). The IDACB is a community of 75 strong countries` representatives that works out basic principles of market legal regulation and synchronises law initiatives in Blockchain and Cryptocurrency. We are very proud to be officially endorsed by IDACB. Thanks for trust. Congrats! We have just launched the mining equipment store! Now you can easily buy the best miners that will go right from the credible suppliers and will be placed directly to our mining compounds. We selected the most running, stable and efficient models for you to mine profitably. And now the most amazing news! You only pay the cost price +30% for import and documents, without any extra charges! As we are all part of the same mining community we want everyone to benefit from the good and fare mining conditions. I mean it's better to buy equipment there then ship my miners to Russia. what's the point to ship my equipment to Russia? To Russia! it will cost me a fortune! I better find smth here. EfMen, we offer you two options. 1. 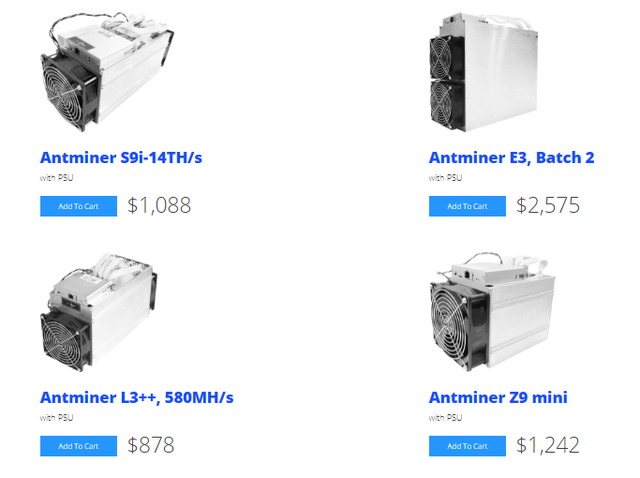 You can buy miners here https://mnry.io/en/shop, we will install them and put into operation. OR you can rent our your tokens, if you decide not to mine. Well, now it sounds more interesting and real. need to think about it. Over the past few months, we have received many requests and applications for participation in the Minery project from investors, miners and major market players. We have been thinking how to meet all the existing demand, and also accelerate the launch of the project and to make it even more profitable for each participant. Therefore, we reviewed the development strategy of Minery, improved the course and direction, and want to share them with you. We have developed a project for the reconstruction of the building of the former poultry factory, and also worked out a project for the construction of buildings from easily built structures. We considered various modular building options by 0.3-1 mW units in mobile boxes and adopted a new improved placement option based on economic feasibility. • Thanks to this - a significant reduction in capex (capital investment) and open (operating costs) of the project. Therefore, now the service charge for all participants has dropped to 0.02 USD, and the the token cost has decreased from 1 USD to 0.5 USD. Bonus for all our current investors: doubling of purchased tokens. • Also, due to this - the acceleration of the project launch. We launch the first capacities in July. •	Another good news is the increase in capacity and territories. The launch of the first batch will take place at two new locations (additional 28 megawatts). •	Change in the project format. We decided to refuse the ICO format, because there is no need for ICO due to the large demand. At this stage, financing from Minery investors and partners allows us to concentrate on launching facilities and servicing of the already existing demand. In addition, because of the hype, for now we have decided to focus only on the segment of wholesale sales (B2B), rather than retail (B2C, ICO format). • The MNRY token now has only an internal function (binding to the watt reservation). Selling on the stock exchanges will only take place if in future we decide to run a public sale. •	We are no longer dependent on the time of the year and we can launch the capacities in winter, so we leave the open offer to the market, tied to capacities, rather than timing (all together more than 150 megawatts, including 55 megawatts that are available for retail, 100 megawatts for large partners). Sale of 55 megawatts and equipment with the entrance starting from $10 thousand (capacity + equipment). 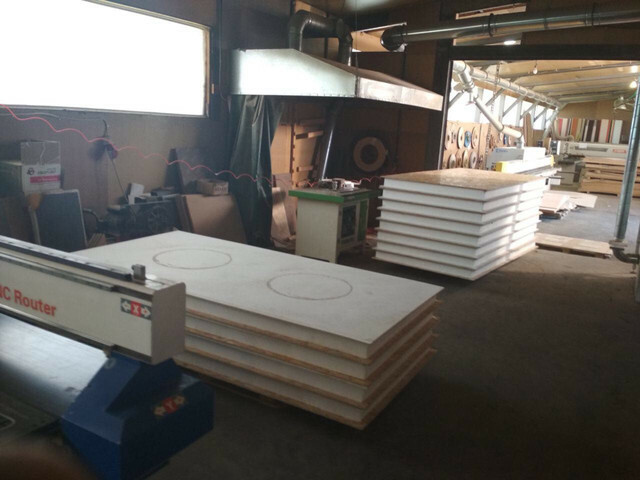 The entrance to the project with own equipment is also $10 thousand (provides the right to 20 kW). •	Gradual launch of objects. 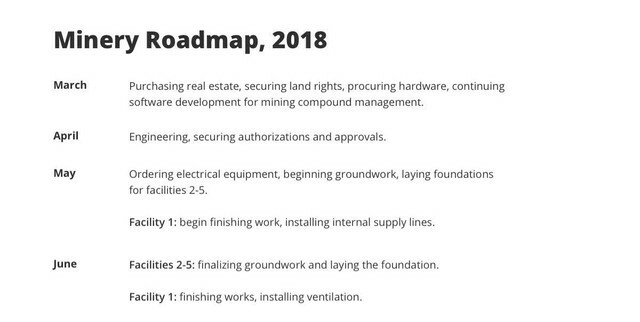 Objects are assembled and launched within a month (stand-alone boxes, each contains up to 150 device units), which allows to speed up launching and mining process for our partners and customers. We have reduced the cost of tokens and service charge. 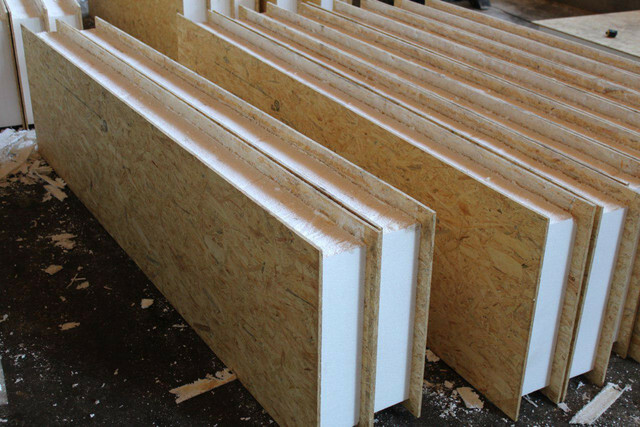 We introduce modular structures and accelerate the launch of the project. Significant decrease of hosting prices and increase of Minery investment attractiveness. Due to a sufficient number of wholesale requests, we refused of public token-sale. We double the purchased capacities to those who entered the project at the pre-sale stage. The Minery team is grateful to you for your trust and support! so when do you actually start? And how long will it take to deliver equipment to your place. Seems like it's time to buy it now. Hello Adro! Thanks for congratulations! We launch the first capacities in July - less then in a month. Shipment and customs clearing take 3-4 weeks. If you want to start ASAP, it is time to make your order. could I see photo from first launching location? is it really almost ready? Are you sure it's safe. I don't trust these sandwiches. they look so...I don't know, not reliable. 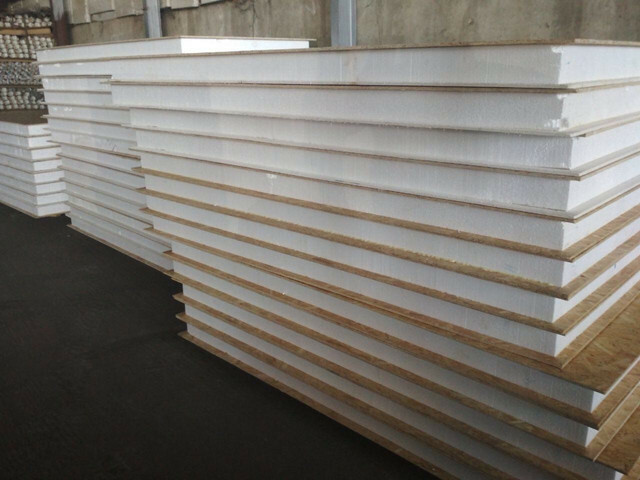 EfMen, these sandwich panels are used worldwide for construction of warehouses, shopping malls and houses. And considered to be pretty safe. What do you do in case my equipment gets broken, and it's still under warranty? So, I don't need to pay for its repair and maintenance. Bombey987, our mining complexes have Service Centers where we will provide repair services for non-warranty cases. Besides, there is the only BitMain Authorized Service Center in Russia, that is located in the city of Irkutsk and is very close to our location.